How many of you IWSGers know about the WEP+IWSG collaboration? The Write Edit Publish (WEP for short) challenge is the brainchild of Denise Covey, which started in 2010. As our Mission Statement on our website states: ‘Write…Edit…Publish aims to create a supportive writing community…’ Denise Covey and her first co-host Francine Howarth began WEP to support fellow creatives by providing an environment where creativity is nurtured. Three co-hosts and a team later, WEP continues to value its position as a supportive writing community, open to writers at every level. There are numerous reasons why you should join WEP. Here are ten of them. 1. It’s good practice. The more you write, the better you get. WEP offers the opportunity to share your work and receive feedback, which is a wonderful way to learn about your strengths and weaknesses as a writer. Plus, with a new prompt with each challenge, you can push yourself to consider new ideas you may not have thought of on your own. Some participants even choose to tell a continuous story from challenge to challenge. This is not an easy task since you’re working with a prompt, but it can be a rewarding one for those who choose to try it. 2. WEP comes with a built-in pool of readers. People return time and again to contribute their stories, and participants are highly encouraged to read and comment on everyone’s entries. Even when past WEP contributors cannot submit a piece for a current challenge, they often make the effort to read and comment. If you participate, readers will come. 3. WEP gives writers a chance to stretch their creative muscles and experiment with genres. If you keep it to 1,000 words or less, you can take your work in any direction you see fit. Make us laugh. Make us cry. Frighten us, if you wish. Don’t be afraid to try something new. It doesn’t have to be perfect. This is a supportive community more than willing to offer constructive feedback. And who knows? Maybe your audience will love the result, and you’ll find a new genre to play in. 4. Participating in WEP can lead to submission opportunities. Maybe you’ll write a poem worthy of publication elsewhere. Perhaps the short piece you write for WEP will have good bones that can be built upon and expanded. An idea born through WEP might grow and morph into something you would never have dreamed up otherwise. 5. Writing to a word count makes for crisper, leaner writing. With WEP, you’re limited to 1,000 words or less. It’s challenging to tell a story this brief, but that’s what makes it worthwhile. Many writers struggle with concise storytelling. We often end up with extra words or scenes that we don’t need. Learning to self-edit is critical. 6. You might become more aware of your writing choices. Nothing helps you learn more about your work than trying new things and sharing your words with others. Helpful readers may point out some of the interesting things you’re doing that you didn’t even notice. Having a strict word count in place also forces us to think about the choices we make as we write. 7. Reading through other entries improves editing and critiquing skills. When you’re asked to read something with a critical eye, you approach the piece in a different way than you might otherwise. Over time, you’ll learn to ask important questions that may help you in editing your own work down the line. 8. Reading through other entries may also spark inspiration for your own work. We don’t exist in isolation. All of us draw inspiration from the world around us, and that includes the fictional works that we engage with. Reading a diverse range of stories can only add to your creative well. 9. It’s like being part of a writing workshop. You can request the level of feedback you receive. If you’re not comfortable with receiving a thorough critique of your submission, that’s perfectly okay. We understand that. You may also have specific questions about how readers responded to certain aspects of your work. Feel free to ask those questions. 10. WEP is a wonderful networking opportunity. This community gives all writers the chance to interact with their peers and develop meaningful friendships. In addition to constructive criticism, it also offers plenty of support and encouragement. So, there you have it. There are many reasons to participate in WEP, and if you haven’t yet given it a try, why not throw your hat into the ring for this month’s challenge? If you have participated in the past, how would you rate your experience? Can you think of any additional reasons to join in? Thank you to the current WEP team: Denise Covey, L.G. Keltner, Nilanjana Bose and Olga Godim. There’s loads of hard work put in behind the scenes! Thank you ladies! 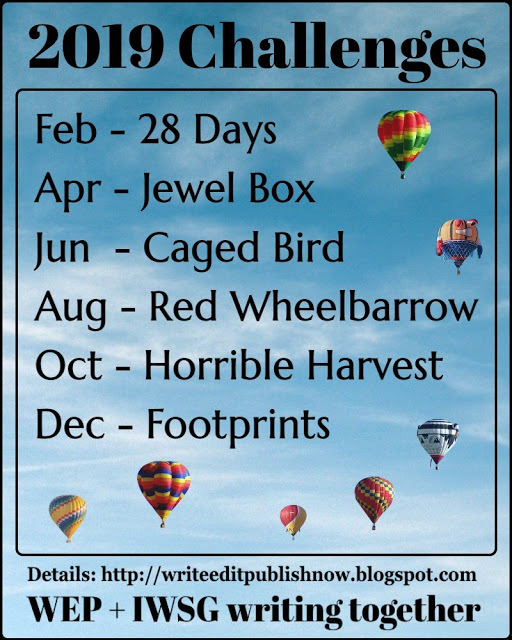 Look at the wonderful line up for the 2019 Challenges! I urge you to sign up… you won’t be disappointed. FEBRUARY 06th QUESTION: Besides writing what other creative outlets do you have? My preferred coffee brand… allows for more creativity! What creative pursuits do you enjoy? If you’re on WordPress, how are you managing the new Gutenberg editor (I can’t find the underline button??) Do you intend signing up for the WEP challenge: the posting date is Wednesday 20th February, so you still have two weeks! Happy IWSG Day! I’ll be doing the rounds over the next few days. All excellent reasons. Gives you the opportunity for feedback from a known group of writers, which is better than a bunch of strangers. Absolutely! The feedback has been wonderful! I single idea from a WEP entry can lead to so much more. I’d love to try your coffee. I’ve never heard of that brand. It’s delicious. I think it’s a brand from the Netherlands. Happy IWSG Day, thank you for co-hosting! Blessings! Thanks for the super shout out. It was fun for the team to put the 10 Reasons together. Writing for WEP has definitely honed my writing skills and taken me into territory I never would have imagined. 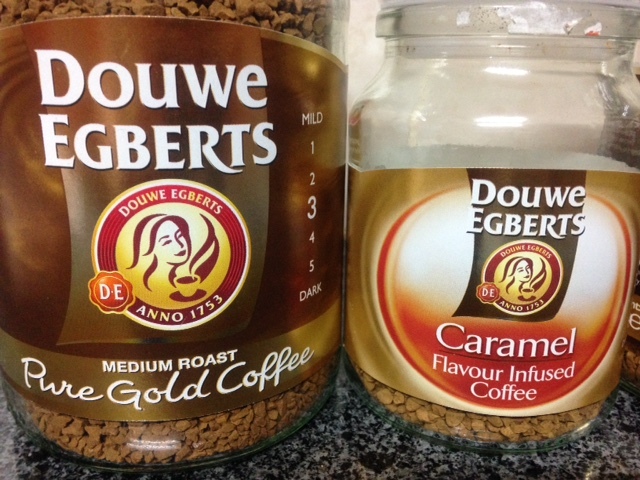 Love Douwe Egberts coffee. Often get sachets when I’m traveling. Which is my other creative outlet – traveling. WEP is definitely a great initiative. I actually listed it on my list of blog hops for authors last year. Happy IWSG Day! Thanks, Raimey! Happy February to you! Darn you, Michelle! Just looking over the WEP line up got my creative wheels spinning. I may force myself out of my comfort zone to take a look . . . Love your photo treatment! Thanks for being co-host this month!! Though I have to warn you that the WEP challenge is highly addictive! Ah, Gutenberg and I had a few choice words while I attempted to assemble yesterday’s post. Thank you for the WEP incentive! And thank you for co-hosting this month! WEP sounds like a great community of writers! I should’ve listed coffee drinking as my hobby/creative outlet! Coffee fuels creativity so I’m sure it belongs amongst the creative outlets… doesn’t it? Thanks for the visit, Jennifer. WEP is awesome! I haven’t tried the new editor yet. My regular blog is through Blogger. But a few group sites I belong to are through WordPress, so everyone would have to accept the changes. Honestly, I think we’ve all just ignored it. LOL Thank you for hosting! 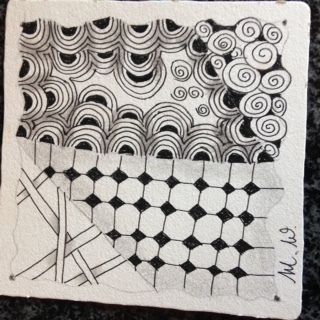 I had never heard of zentangle until my daughters made several in their art classes in school. I have painted, drawn, and made a fairy garden in the past. These days, I’ve been too busy to spend too much time on extra projects. I’m also short on time, so these days, most of my time goes to the writing. Other creative pursuits have taken a back seat. Thanks for featuring WEP in your post today! Coffee definitely helps boost creativity. At least it does for me! Hopefully, the post will draw more writers to the WEP challenge! I receive the e-mails. I need to look into joining. See you at WEP, Deb! Thank you for the shout out, Michelle! WEP has made a huge difference to me and my writing. Apart from the fun. I’m sure that pottering around old buildings/museums/alleys counts! All that beautiful architecture gives ideas for setting/scenes etc, which means it helps boost creativity! Thank you for co-hosting, Michelle. I don’t use Word Press. I’m on Blogger and I’m thinking of starting over. Blogger is causing me great angst. I keep looking at WEP, but I don’t know if I can find any extra minutes to put into it. There are many ways to make use of the WEP challenge. For example, If you need feedback on a single scene that fits the WEP prompt and fits into your current work in progress, then you could post the scene as a WEP submission. It’s a way of getting a fresh perspective on your words. I’m going to have to check out the WEP, it sounds really interesting! I’ve seen people talking about it. Thanks for explaining it a bit! It’s a wonderful writing community! I’m seeing tons of very creative people today. And tons of people way more organized than I am. Maybe I’m creatively disorganized. I love the WEP challenge. It has improved my writing so much. Plus, it’s lots of fun and inspiring. The new WordPress editor is far too blocky! That describes it… perfectly. But I suppose we’ll get the hang of it. We have no choice. My last WEP entry became the prologue to my latest novel — No, I am going to be gentlemanly and not hype it here! 🙂 But I enjoy the challenge. Like you said: it stretches your imagination to go in directions you might not otherwise go. I, too, talked about WEP today and even posted my entry a bit early to encourage others to join, Thanks for caring for the community as you do. I know you are very busy, so thank you for visiting today, Roland! I’d seen WEP mentioned before and thought it looked good. Then I got overwhelmed with all the things I already do and don’t do well enough, so I side-stepped it. I’ll re-visit that decision. Thank you for visiting, Debs! You nailed it, Michelle! All great reasons for doing WEP. As to Guttenberg…I’ve avoided it so far, but I’m sure I’ll have to tackle it one of these days. I wish WP would hire some programmers that think like writers think. Those engineering brains see the world from a very different perspective. Engineering brains and writer brains are worlds apart… I think. As for Gutenberg, I’ll just plod along until it sinks in. I’m getting there. Yeah, the new WordPress is challenging. For this post, I had to go back and remove duplicate text all over the place. I’m with you on the coffee, oh sacred elixir of focus. Thanks for co-hosting! “…oh sacred elixir of focus…” Now that made me smile. Thank you, Sadira and welcome to my blog. I’m just a bookworm, but my friend Toi, loves participating in the WEP challenge. I love reading the stories. They are so varied and diverse while all being connected to the same theme. It seems like such a supportive and creative way to write. The variety is what makes the WEP challenge so exciting. Oh, and also the great vibes and energy amongst the WEP participants too. WEP is a wonderful gathering. Thank you for visiting, Carnie. Thanks for co-hosting this month. I’m always on the lookout for good coffee. I’ll see if I can find yours. Best wishes. Not sure if my last comment was saved or not. Just in case, I wanted to try to say thanks for co-hosting. I already belong to two feedback groups, both catering specifically to the genres I write. If I didn’t I’d be giving WEP a try, as good feedback is extremely important. Feedback groups catering to the specific genre is very important, I guess. The WEP participants are a multi-genre batch of writers. I suppose that gives a different perspective and flavour to the writing feedback. Very interesting post. My first IWSG blog hop post was Nov 2016, however I didn’t understand what WEP was all about. Now I know. I’m intrigued. Thank you for co-hosting IWSG blog hop this month. Thank you for the visit, Lynn. “Fountain of creativity” is the perfect description, SE! I gave up on Gutenberg and had my computer guru install the plug-in to override it. I like the blank paper approach. Will there come a time when we have no choice but to use the Gutenberg, or will the override function always be available? That’s what worries me. Excellent reasons! Makes me wish I had more time. Right now, I’m juggling so much, even the stuff I’m passionate to finish gets put aside. I understand. It’s an everyday juggling act. It’s a great way to expand on creativity by trying different things. Maybe you’ll find some time in the not-too-distant-future, to give the WEP challenge a go! Thanks for putting up our joined post here, Michelle. This is a great advertisement for WEP. BTW: the underline button disappeared from the old WP editor too. I guess, they don’t think it is needed. I’m still using the old editor and happy with it. I’m so afraid they would discard it one of these days and force everyone to use the new one. Argh! Exactly what you said, Olga. 😂 Why must everything change? I haven’t tried Gutenberg yet, but I was wondering how different it was from Mailchimp’s newsletter set-up, which seems to have blocks and templates. Hmm… it doesn’t in this comment form, so maybe not. Good luck. I may wait till I see more on how you’re doing with it before changing! Jemima, I’m stumbling about in the dark, trying to figure this out so I doubt that I’m the person to lead the way. It’s such a supportive and creative group. And I love judging the entries! I hope you’re having fun at the same time, Nick! Sorry, but I’m on blogger. I have to figure out something too–how to make someone an administrator and how they can access my blog to help me update my agent spotlights. Good luck figuring out your challenges. Good luck to you too, Natalie. I’m sure we’ll figure something out. It’s a constant learning process. I keep telling myself I am doing the next WEP and then don’t. Hopefully I will get there. Happy IWSG, thanks for co-hosting. I’m not sure if I’m ready for WEP, but I bet a few of the members in my critique group will be interested. I’ll pass this info on to them. Thanks for the detailed explanation – and encouragement – to join in the WEP challenges. Many good reasons to join. But, it appears to me that this is purely for fiction submissions? I truly wish there were more hours in the day. 🙂 Thanks for co-hosting this month, Michelle! I’m not nearly as creative as you, since writing is about my only passion (other than travel). I do have WordPress, but not the editor you mention. No, it’s not only for fiction. I’m still struggling with Gutenberg, too. So, I go back to the Classic editor. Thanks for the info on WEP. I will have to check it out. 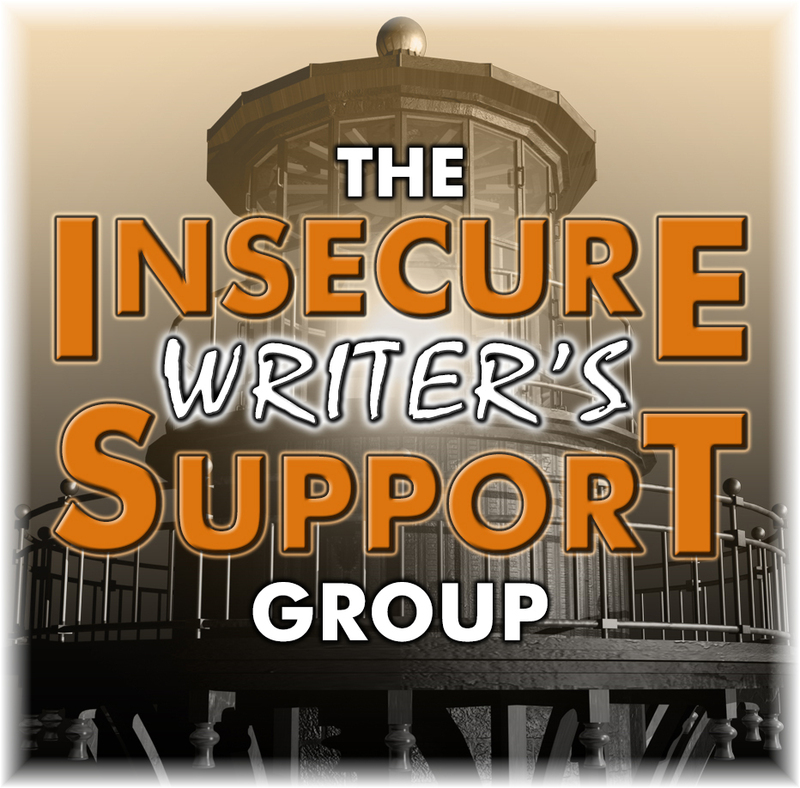 Thanks for hosting IWSG this month. The new WordPress editor is far too blocky! All good reasons! It’s a worthwhile exercise and a great community. I use blogspot for my blog and WordPress for my website. I have links between the two. My dream is to combine them somehow. My podcast is through podbean, but is also available through all podcatchers. Great post. Thanks for co-hosting! Combining the two? Sounds tricky. WEP sounds brilliant – I already have a couple similar things otherwise I’d join, but I’d recommend it to anyone hovering.Great networking & crit buddying possibilities. It’s an amazing platform, Angela. Yes, great networking and crit buddying possibilities. It’s been a long time since I participated in a WEP challenge but I loved the two that I wrote for. The community really is very supportive. It sounds like it’s grown a lot over the past year. I’ll definitely check it out! It’s grown… but the great vibe and energy has remained! 10 great reasons to WEP! 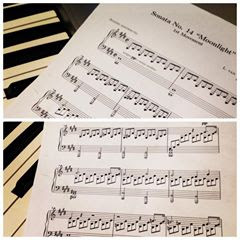 Thanks for sharing these, Michelle! Thanks for co-hosting today. Very interesting post. Guess I need to check out WEP. You convinced me. Have a great week. Thank you for the visit, Beverly! Some of the reasons you came up with were ones I hadn’t thought of. Thank you so much for sharing these. Made me think outside the box. Came over from C.L. McKenzie’s blog! I do participate, but not every month, especially since I’m trying to finish my current WIP. Excellent post! I enjoy doing WEP. It’s fun to write a short story every now and then. Keeps the mind in shape. And it’s less pressure than a whole published book. Plus, good community of writers! WEP sounds great. I’ll have to check it out. I write to word counts all the time in my YA adventure fiction stories. Thanks so much for suggesting this Michelle. Thanks for co-hosting the February IWSG question. All best to you! You and I have many similar interests! Music and editing are not only my two jobs, but they are two of my favorite things. 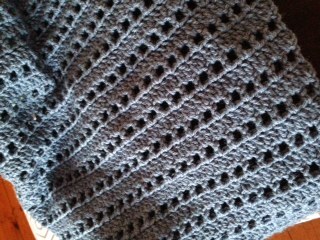 I’ve crocheted before and enjoy it immensely, though I don’t have a lot of time for it lately. And coffee . . . well. Coffee is coffee! Our love for it makes our world a bit smaller and more friendly, don’t you think? 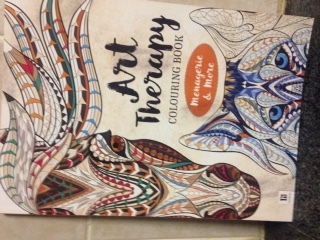 I love the art therapy thing. I recently got a coloring app on my phone just to kill time with something that isn’t a word game while waiting in line for things, or at the doctor’s office, etc. It’s really addictive to color florals, mosaics, mandalas, etc. I’m hooked. Aside from writing, any other creative pursuits are from my long ago youth. I’m on WP but not aware of the new editor. It still looks like the old one. Are you on .com or .org? Love the photos 🙂 Gutenberg is a little tricky. I’ve found that some keyboard shortcuts that work in MS Word work there: like shift+Enter to stay in one paragraph format without starting a new block. Have you tried ctrl+u to underline? (I don’t do much underlining, so haven’t searched for a solution, yet.) Good luck!